The Big Bang Theory is a phenomenon. 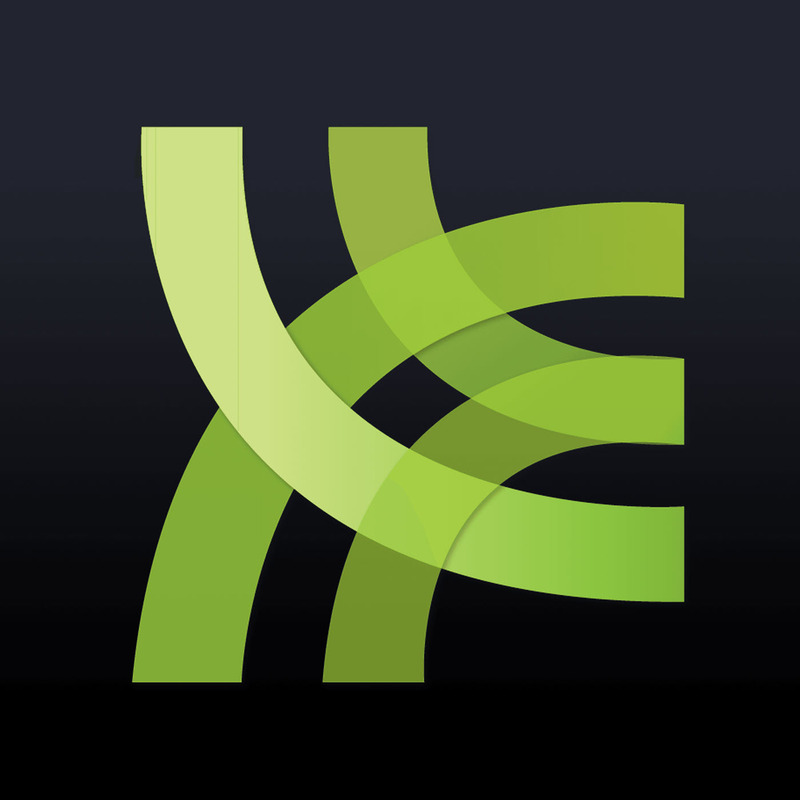 One of the most popular shows on TV, it’s watched every week by billions of people. No one can say exactly what the secret of the show’s success is, but the fact is it’s hugely successful and popular – and so’s the cast who makes it. Stars Jim Parsons, Johnny Galecki, and Kaley Cuoco to name but a few create an amazing chemistry as a cast, turning the show’s interaction almost real, and a delight to watch. 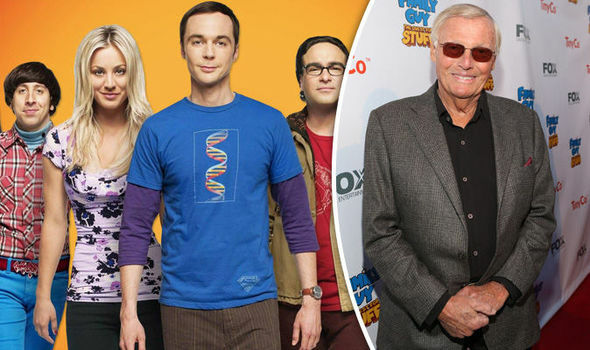 CBS’ most watched TV show, The Big Bang Theory cast leads the list of highest paid comedy TV stars in the world – sums like the ones the cast makes were not seen since the TV show Friends. Because of that, and its slew of guest stars and locations, The Big Bang Theory is also extremely expensive to make, but it makes enough back to be profitable – and then some. Here’s what its stars have taken home. Nayyar is one the original five cast members that made up the Big bang nerds. An accomplished actor, the British-born Nayyar made most of his money from The Big Bang Theory, including syndications, merchandise, conventions, etc. His net worth is also aided by his wife, who happens to be Miss India. His net worth in 2013 was about $5 million – the latest seasons’ huge salary raises worked in his favor. He, along with his co-stars, lead the list of highest-paid comedy TV actors. During the show’s early seasons, the relatively unknown Nayyar was making a (not too bad) $30,000 an episode, but as the show grew to be the most popular comedy on TV, rounds and rounds of raise negotiations were made. Eventually, Nayyar was making $750,000 an episode, but in the final rounds of negotiations, he was given a raise that would have him making $1 million per episode. He, too, took a $100,000 paycheck cut to assist co-stars Rauch and Bialik. 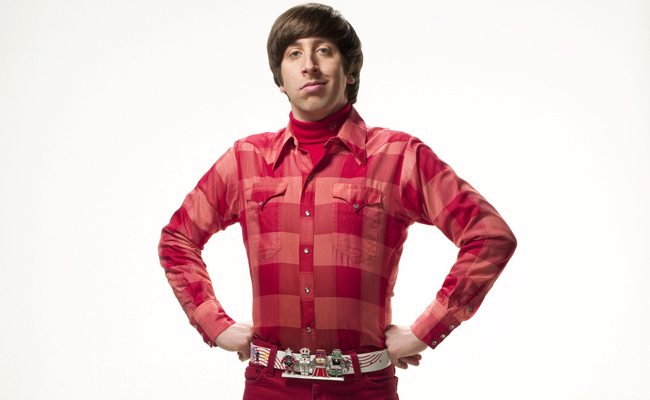 Howard Wolowitz is a CalTech engineer, a part of the original geeky group of friends – Leonard, Sheldon, Raj – and pretty girl next door, Penny. He is ostensibly the geekiest of the entire group, but he ended up falling in love, marrying, and becoming a father before any other member of the group, when he met Bernadette, played by Melissa Rauch, and fell in love with her – finally moving out of his (invisible) mother’s house. 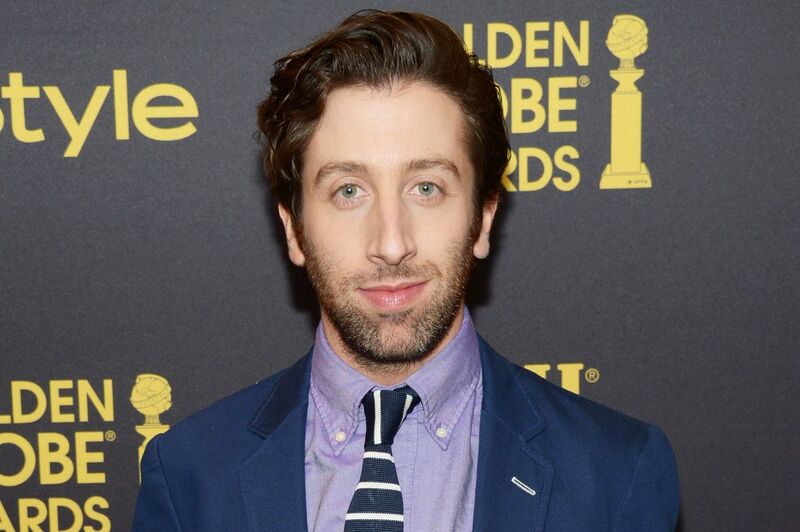 Simon Helberg is also a core member of the group, and made about the same as Nayyar did in the first seasons of the show as an unknown actor: around $30,000 an episode. This was, however, half of what Cuoco and Galecki were making, and a round of raise negotiations doubled their salaries by the second season. His income grew steadily, till he also was making $750,000 an episode, and then was set to get a whopping $1 million per episode, but agreed to take a cut. Kaley Cuoco portrays a beautiful struggling actress, Penny, on the show. She lives across the hall from geeks Sheldon and Leonard, and is initially withdrawn, but soon finds how sweet they are and becomes a member of the core group, even falling in love with Leonard. Their on-again, off-again relationship provided the romantic tension in the show: they end up marrying in season 10. Penny is kind-hearted and sweet, though sometimes ditzy, and the only group member who is outgoing and assertive. She’s good friends with Amy and Bernadette. Along with her co-stars, leading actress Kaley Cuoco was due to be paid a million dollars per episode in the latest round of negotiations, but in a group decision with the cast took a $100,000 to help her co-stars Melissa Rauch and Mayim Bialik get raises. Cuoco has been acting since childhood and starred in the successful TV show 8 Simple Rules, which earned her her beginning sum in her worth. She is the highest paid female comedy star on TV. Leonard Hofstadter is the main protagonist of The Big Bang Theory, a sweet, kind, introverted physicist who works at CalTech and lives with his extremely eccentric roommate, Sheldon. He had a rough childhood, mainly ignored by his psychiatrist mother, who raised him according to methods (rather than feelings), and often feels lonely, until he meet Penny, the girl next door – and it is love at first sight. After a long on-and-off chase, the two end up marrying. Belgian-born American actor Galecki was on TV since the ‘80s, particularly with some of his cast members (Laurie Metcalf and Sara Gilbert), and built his fortune since his teenage years. Since his net worth is only an estimate, there are rumors the sum is much higher, as he had already made close to $30 million on Big Bang alone. Galecki secretly dated co-star Kaley Cuoco for two years while they were working together. They broke up amicably. Sheldon Cooper, though not meant to be the main character in the show, became it, partly due to Jim Parsons’ acting. Just as no one could predict the show’s huge success, no one could predict Sheldon’s immense fan base. Sheldon is a scientist and adheres to science in all of his ventures. He has a very hard time understanding social cues and is devastated by change. He does become different during the show, falling in love (in his own way) with Amy. 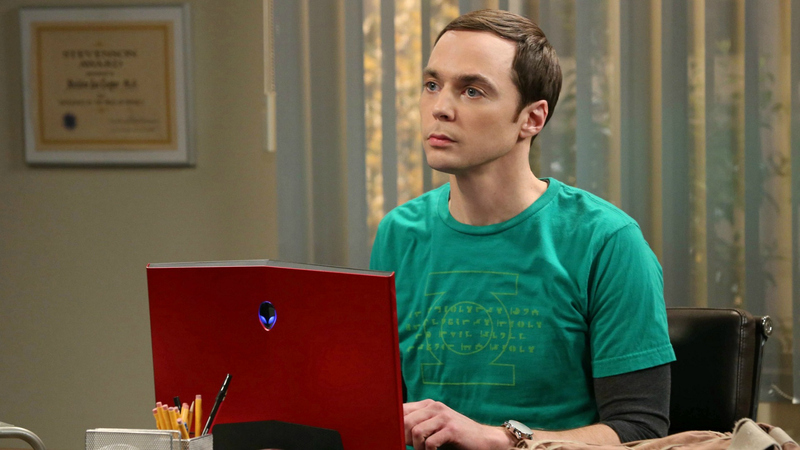 Jim Parsons was the first cast member to be offered a $1 million an episode salary, as he is considered the most popular – and valuable – cast members. He has made more than $27 million from Big Bang Theory alone, and his net value continues to rise, even though he is paid as much as his co-stars, and was one of the first members of the set to agree to take a pay cut in order to make sure Mayim Bialik and Melissa Rauch receive proper compensation. Mayim Bialik got her first fortune playing the immortal Blossom on Blossom, and appeared on other shows in the ‘80s, such as Doogie Howser, MD and Facts of Life. The money she made as a child actor went into savings, and some of it went to education: the actress has a PhD in neuroscience. 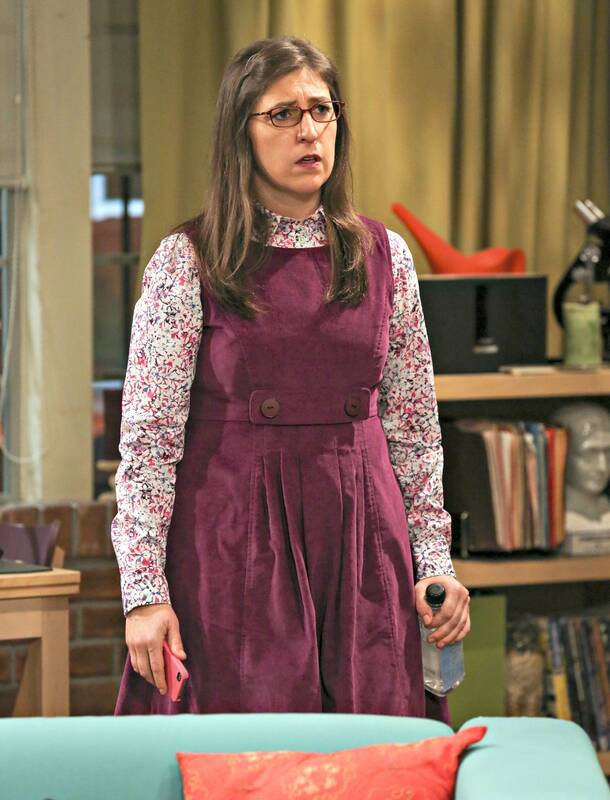 Amy Farrah Fowler is the lovable geek love interest of Sheldon, a researcher in neuroscience. Their awkward romance, and her sweet friendship with Penny and Bernadette, conquered hearts immediately. Bialik was a guest star but so popular with audiences, she became a regular by season 6, making about $30,000 an episode. She negotiated to bring her salary to $100,000 per episode. When she and co-star Melissa Rauch were given an ultimatum to keep their salary or be written off the show, co-stars Kunal Nayyar, Simon Helberg, Johnny Galecki and Kaley Cuoco all agreed to take $100,000 pay cut from their $1 million salaries, so they can get the raise they deserve. Leonard’s mother is very different from her son, and emotionally neglected him by avoiding touch and relying mainly on psychiatric methods. 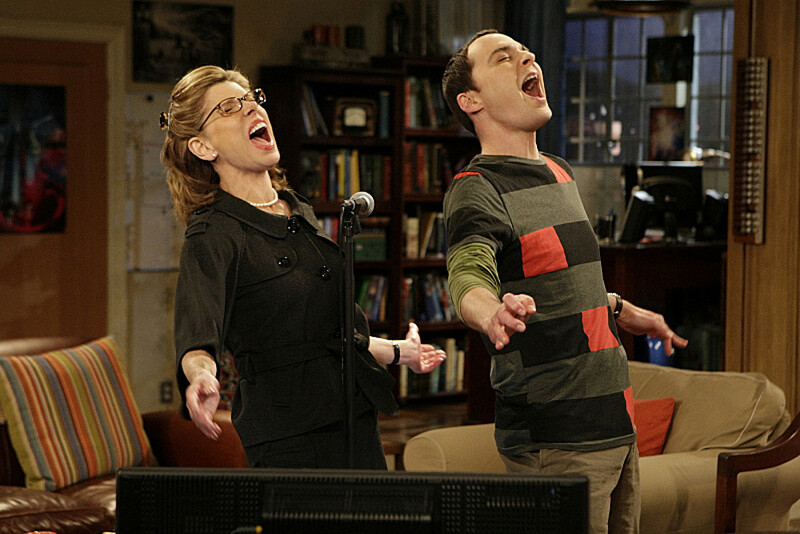 On her appearances on the show, she connects much more with Sheldon, and even tries to make a case study out of Penny. Baranski is an actress of stage, TV and Film; she starred in Follies and Sweeney Todd, in the movie production of Mamma Mia! And is known for her role on Cybil. 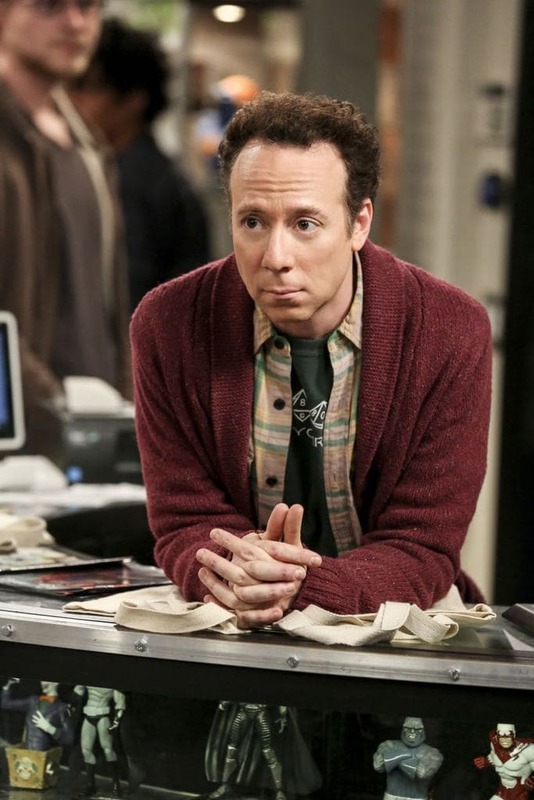 Kevin Sussman plays Stuart Bloom, a detached and gloomy owner of the guy’s favorite comic book store. He is kind-hearted and sweet, but gets depressed a lot. 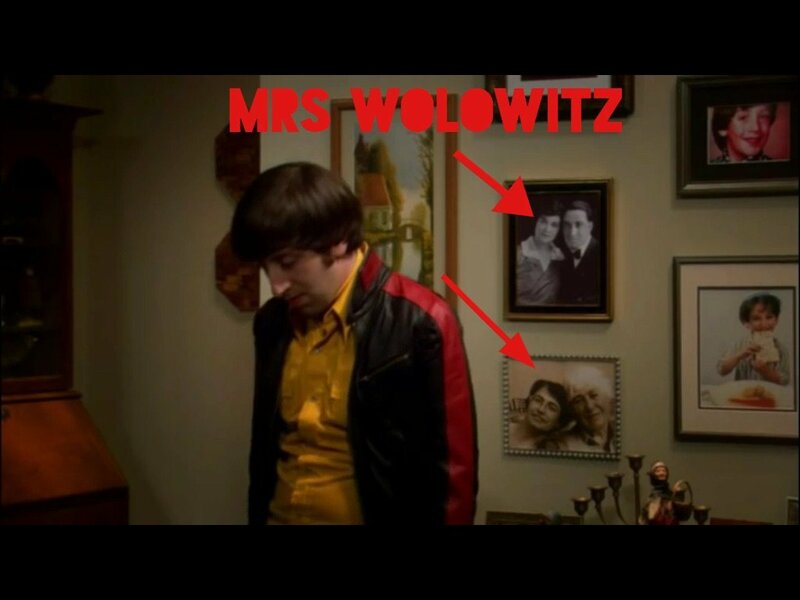 He is actually a love interest for the invisible Mrs. Wolowitz. He desperately wants to be a part of the friend group. Actor Kevin Sussman was in the films Almost Famous and Killers, and on TV shows My Name is Earl and Weeds. Sussman was promoted to series regular on season 11. Laurie Metcalf is a Hollywood veteran, who played in Roseanne along with some other cast members, including Johnny Galecki and Sara Gilbert. She appeared in numerous TV shows and films, and currently stars in the movie Lady Bird. She portrays Sheldon’s devoutly Christian mom, who accepts him, but does not understand him or share his beliefs as she is a Creationist. Throughout the show, fans were delighted by the invisible shouting of Howard’s mom, oftentimes embarrassing him, though he is incredibly attached to her. Carol Ann Susi provides the voice of Mrs. Wolowitz, but she is never once seen on the show – ever. Susi guest starred on several TV shows, like Grey’s Anatomy and Married…. With Children. She unfortunately passed away in 2014. Danica McKellar, who played Fred Savage’s love interest, Winnie, in The Wonder Years, plays a humanities major who also goes to CalTech. She and her friend Martha meets Raj and Howard in the university mixer and ends up in Sheldon and Leonard’s apartment with them, her friend with Howard, and her with Raj. Though he wants a relationship with her as he is finally able to speak in front of women, she rejects him, but agrees to be his date for a party. In the season premiere of series 10, Jack McBrayer plays Penny’s brother, Randall, who was mentioned in many episodes of the show. Most notably known from his role as Kenneth on the Tina Fey comedy 30 Rock, a part for which he was nominated for Emmy and won a SAG award, he also does voice work and works with adults swim as a producer. Wil Wheaton, who played Wesley Crusher on Star Trek: the Next Generation, plays an exaggerated version of himself on the show, a struggling actor trying to find a role after being a child star. Born in California, he defines himself a geek still, and participates not only in conventions and fan meetings but also plays in and directs sci-fi films and shows. He is married. 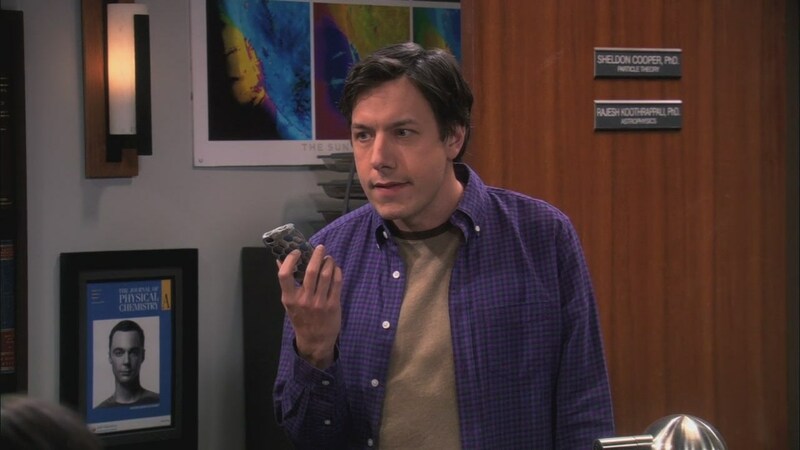 Comedian and actor John Ross Bowie plays Kripke, a cocky and self assured bully and enemy of Sheldon at CalTech. He has a list, and often challenges the group to competitions. He is positive he is better than Sheldon, which Sheldon eventually admits, much to Kripke’s surprise. He appeared in the show since season 3 and was promoted to a regular in season 10. 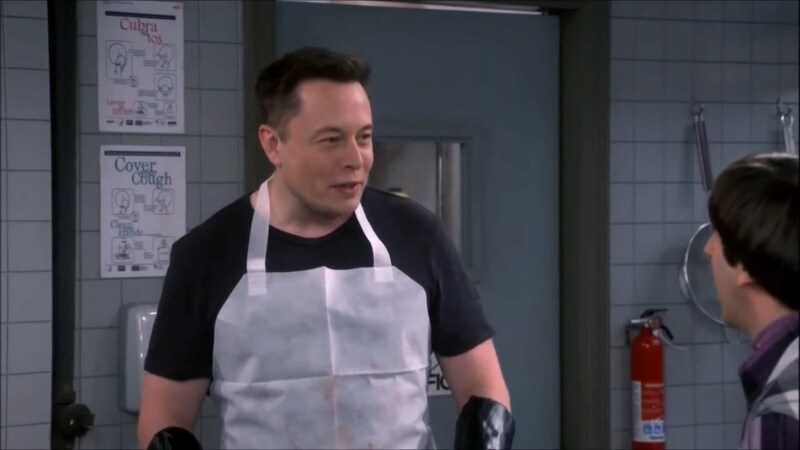 One of the richest people in the world, Tesla founder Elon Musk is Sheldon’s hero on the show, and appears in a thanksgiving episode in which he works at a soup kitchen, where the gang meets him. Musk only makes $70,000 a year as the CEO of Tesla but notably doesn’t take his salary. He instead is paid for performance, and in product placement (such as the Tesla cars starring in the Bond film series). He dated actress Amber Heard. He is South African. Stephen Hawking is one of the best known scientists in the world who revolutionized theoretical physics, and was first to set out a theory of cosmology and quantum mechanics. He suffers from ALS, uses a machine to speak. He has received many awards and honors, and wrote the bestselling book A Brief History of Time. 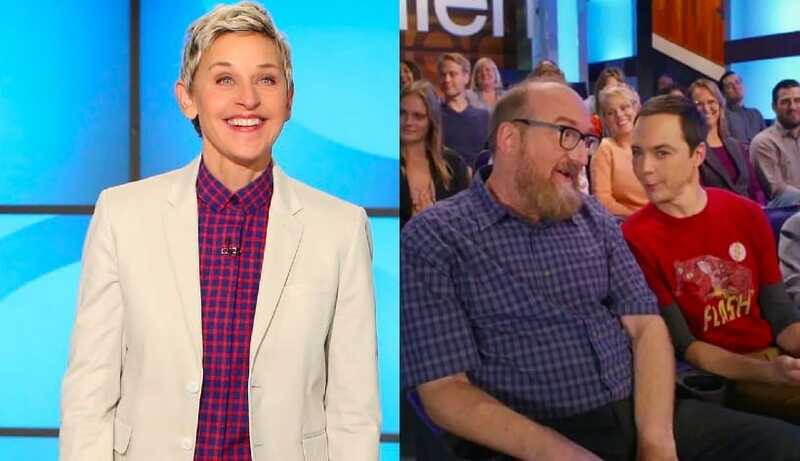 On the show, he comes to CalTech to lecture, and reaches out to Howard – an engineer – to help him with his wheelchair. He later on appears speaking on Skype with Sheldon, giving him advice regarding Amy. Originally paid just $7,000 to voice Darth Vader, James Earl Jones has become a rich man from the franchise’s syndication, merchandise, conventions, and his numerous appearances in talk shows. Considered a very distinguished actor and singer, Jones played many classical stage roles. On Big Bang he gives a hilarious performance as he welcomes Sheldon a little too much when the younger man comes up to him for an autograph; he ends up spending the day and night with Sheldon, going out for ice cream and ending up in a sauna. Sheldon eventually ditches him, bored with his stories. Sackhoff is known most for her work as Starbuck in sci-fi series Battlestar Galactica, and also starred in a Star Trek film. She was known to be ‘the beautiful one’. She currently works with adult swim, and appeared on Riddick and Don’t Knock Twice. She does yoga. In the show she appeared alongside George Takei in Howard’s fantasy and helped guide him in his imagination during his first date with Bernadette. Sara Gilbert is another cast member who used to be on Roseanne (with Johnny Galecki and Laurie Metcalf), so has been acting since she was a teenage. 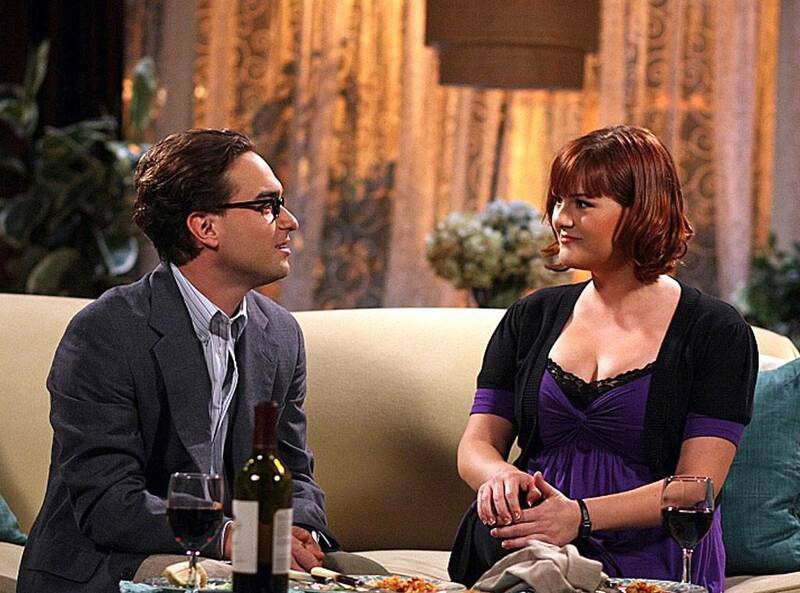 She dated Galecki during her time on the show. She was an extremely popular host of the daytime show The Talk, where she made $1 million an episode. When she became pregnant, she quit both shows. 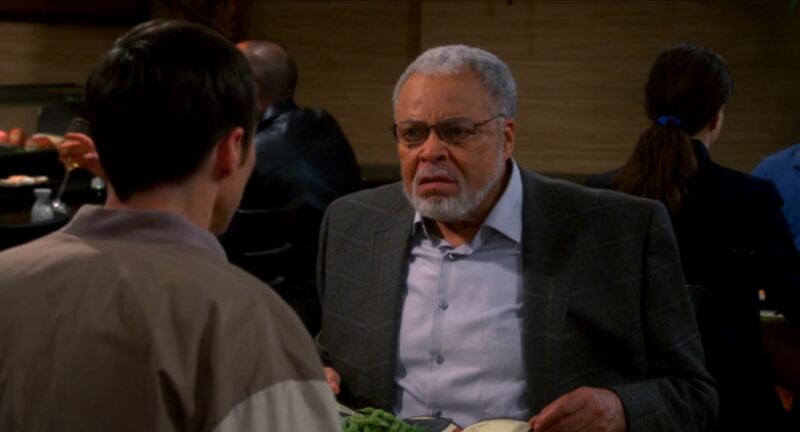 Gilbert played Leslie Winkle on Big Bang, a rival professor and bully but also a romantic partner of Leonard’s. TV sitcom star Ellen plays herself in a guest appearance on the show, like many other celebrities. The premise of the episode is that Sheldon is a part of the audience in Ellen’s hit daytime talk show, Ellen, and suddenly discovers her observational humor, asking: “do people know her?” Ellen has won numerous awards for her show. She is known for donating to charity and for surprising guests on her show. Adam Nimoy is the son of Leonard Nimoy, who appears in the show as himself. He interviews Sheldon as a part of a documentary he is making about his father. Nimoy actually was making a documentary about his father, which was featured in the Tribeca film festival. Nimoy is both a businessman, working with companies like EMI America and Enigma records, and a director. West played the original batman, and makes money from not only syndication, but also merchandise and conventions of the franchise. On Big Bang he plays himself, stating to the guys he thinks Michael Keaton was a better batman, to which Sheldon disagrees. The guys invite him to Sheldon’s party as a surprise but he acts unkindly. Adam West passed away in 2017. 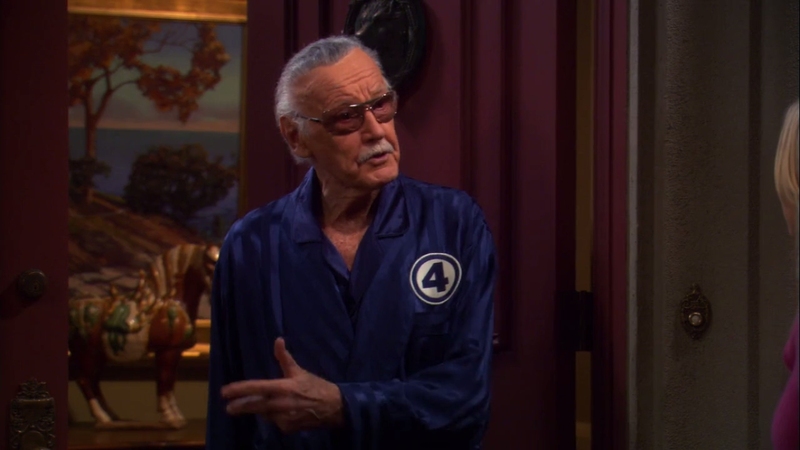 Stan Lee appears in the show as himself, a revered comic book writer who wrote for DC comics and had a hand in creating some of the most known comic characters: Spiderman, The Hulk, The X-Men, and others. In the episode, the gang comes to his home, and he is furious, sarcastically offering them to join him to watch the game, but since Sheldon does not understand sarcasm, he takes the invitation seriously, and the two watch the game together. Buzz Aldrin is an astronaut who was a co-pilot on a manned mission to the moon, Apollo 11, along with Neil Armstrong. He was the second man to walk on the moon. Known in reality as being a kind and sweet man, on the show he plays a mean and cantankerous man who bullies children during Halloween. Aldrin lost half his fortune in a divorce. He works as a consultant to NASA. George Takei was in the original Star Trek show and starred in the franchise’s films. He is a proponent of equal rights, and has a popular page on Facebook, where he communicates with fans. On Big Bang, he appeared in Howard’s fantasy along with Katee Sackhoff, guiding him throughout his first date with Bernadette. Carrie Fisher played Princess Leia in The Original and the new Star Wars movies. She also authored a few books, and built her fortune from aspects of the franchise. 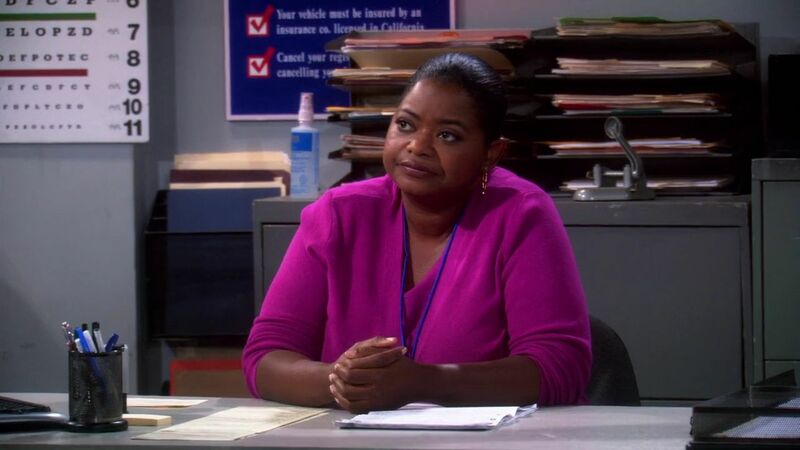 In the show, she plays in an episode in season 7 with James Earl Jones in which he ‘ding-dong-ditches’ her, crying out, “It’s not funny anymore, James!” She struggled through quite a few issues in her life, but overcame them. She unfortunately died in 2016. Known as Bill Nye, the Science Guy, Nye is a scientist who studied at Cornell and worked at Boeing before he became a TV presenter, “to bring science to people and children”. He now has a new show on Netflix that explores current scientific topics. He is Sheldon’s idol and appeared briefly in the show as himself, only to ditch the gang as soon as he could. A down-on-his-luck former science TV show for kids, Bob Newhart appears on the show as a subject of Sheldon’s fan love. 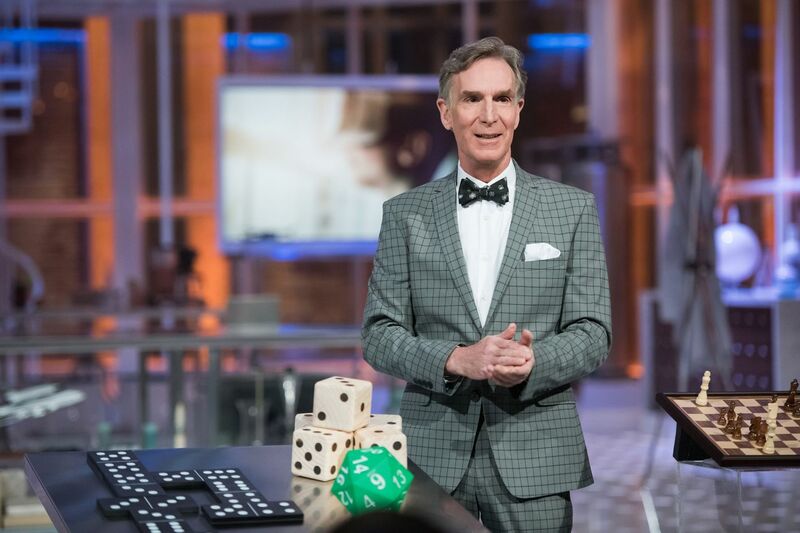 In the episodes he plays a cantankerous man, upset that Bill Nye, who based his show on Proton, did better than him. He attempts to ward off Sheldon with bitterness and unkindness, but Sheldon doesn’t understand the cues. He ends up liking Sheldon a lot, and becoming his friend. He has won an Emmy for his part in the show. Melissa Rauch spent a long while as a struggling actress in Hollywood before she joined the cast of The Big Bang Theory as Bernadette Rostenkowski, a biologist who works for a Big Pharma company. 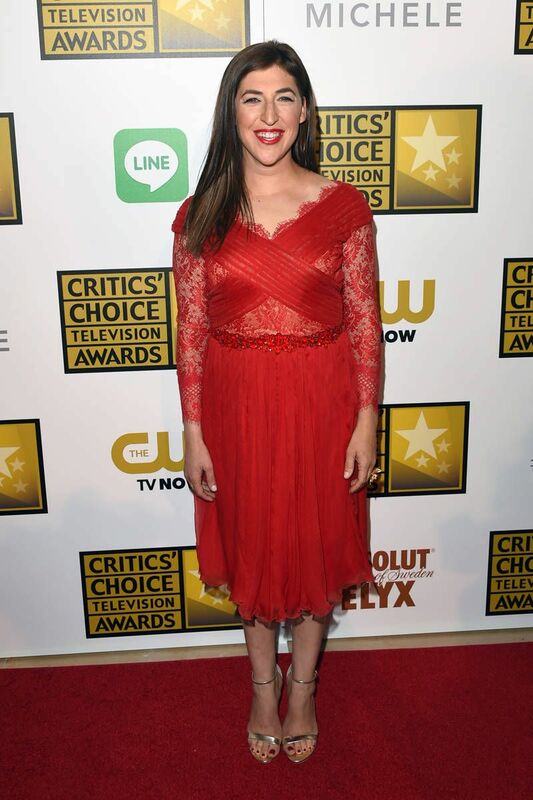 Just like Bialik, she was meant to be a guest star, but her surprising relationship with Howard was so popular, she became a regular, marrying Howard and raising a daughter with him (she is expecting a second child in the current season). 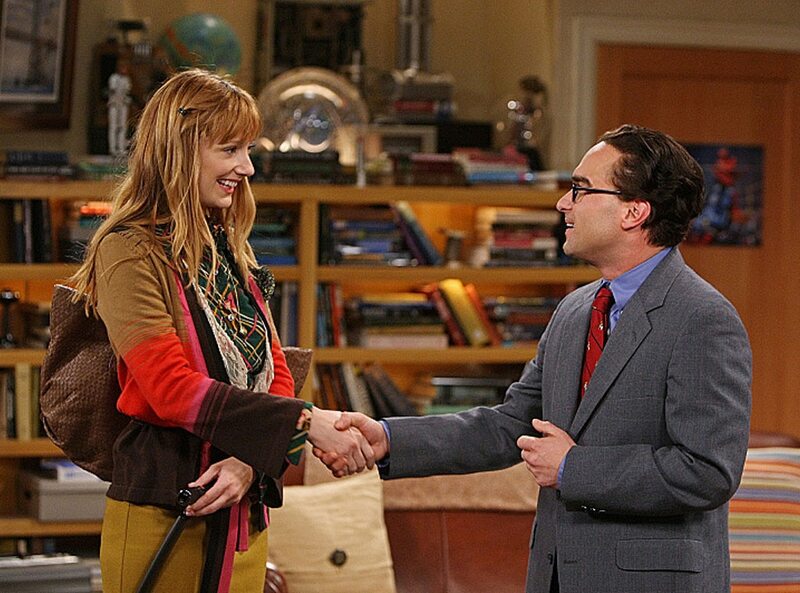 Melissa Rauch did not have the early start Bialik did on television and so has a lower net worth – she only started becoming wealthy after she joined Big Bang. Just like Bialik, Warner Bros threatened to write her off the show if she didn’t agree to the set salary. Between them, the five leading stars of the show took a collective $500,000 cut from their salaries to ensure her raise. Nathan Fillion appeared as himself in one of the show’s many self-referential anecdotes – since the show took off, more and more stars of “geeky” and cult television show have guest starred. Fillion was the lead in Buffy the Vampire Slayer creator Joss Whedon’s acclaimed space Western Firefly. Firefly was cancelled after one season, much to the dismay of fans around the world. 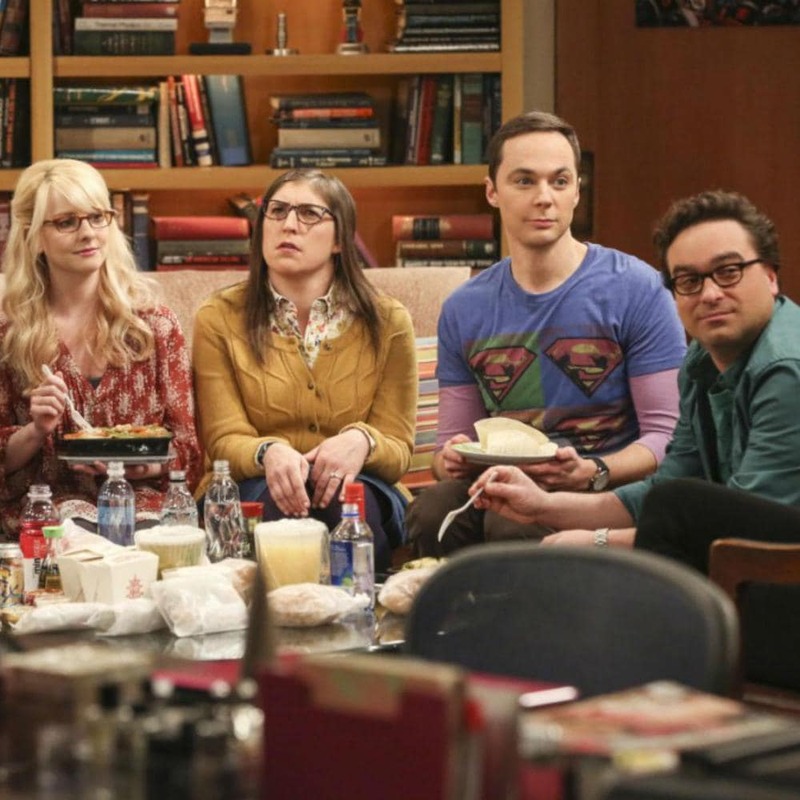 In Big Bang, the gang runs into him at the comic book store, expressing their disappointment over the cancellation. Summer Glau is another star of the prematurely cancelled sci-fi TV series Firefly who guest-starred as herself on the show. In the episode, she was traveling on a train on her way to the same sci-fi convention the guys were attending. When they caught a glimpse of her, they all tried to hit on her: Raj got close, but became lovelorn once more when his drink ran out and he couldn’t speak. Glau ended up getting off the train before any of the guys could make a move. Leonard Nimoy is a hero to many – the original Spock in the original Star Trek series, he was a pivotal part of the creation of the heritage of the franchise, and a hero to Sheldon. Before his death in 2015, he appeared on the show, signing a napkin for Sheldon at Penny’s behest. It later on turned out Nimoy had to get a restraining order from Sheldon, as he was trying to get his DNA “for future generation”. The episode that aired following his death was dedicated to him. Levar Burton, the immortal host of kids’ show Reading Rainbow, also portrayed Lt. Geordi in Star Trek, the Next Generation, a mark of the show’s continuous effort to include a diverse and unique cast (Burton played a blind man on the show). Burton appeared in several parts of the show, interacting with Sheldon; they became friendly and bonded over their love of flags, but Burton was shocked at an episode of Sheldon’s web series “Fun with Flags” and stormed out. Brent Spiner, yet another member of the Star Trek franchise who played himself on the show, Spiner agreed to play along with a plot line where he became Sheldon’s mortal enemy after he mistakenly opened mint-condition Wesley Crusher (Wil Wheaton, also a member of Star Trek and a regular guest star on the show) action figure. 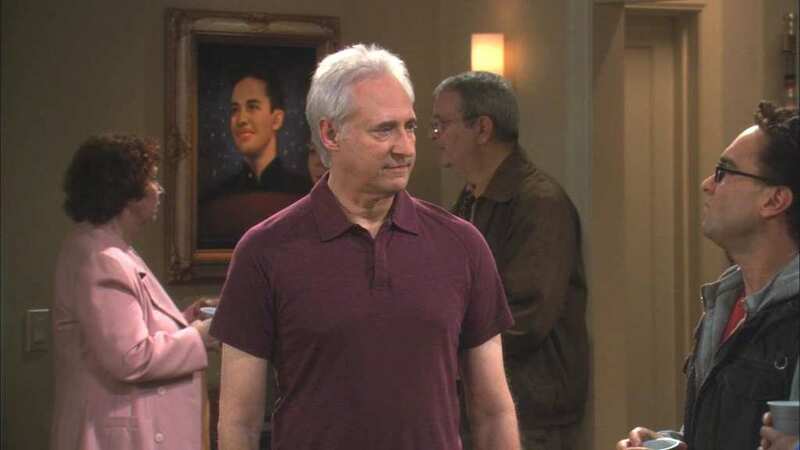 Leonard and Raj tried to make amends between the two, with no luck, until Spiner, who played Data on Star Trek: the Next Generation, agreed attend to Sheldon’s birthday party. In the continued theme of guest stars from geeky sci-fi shows, this time, actor Michael Trucco, star of sci-fi show Battlestar Galactica, played a spoof of himself – rich and womanizing. He appeared on the show as a physicist Leonard was to work with, but his enthusiasm slowly reduced once he found out Underhill is not only a brilliant physicist, but a karate champion, likes to jet ski, adorns a leather jacket, and is generally charming. Leonard is appalled when Penny falls for him, but she, in turn, is appalled when she finds out he is married. 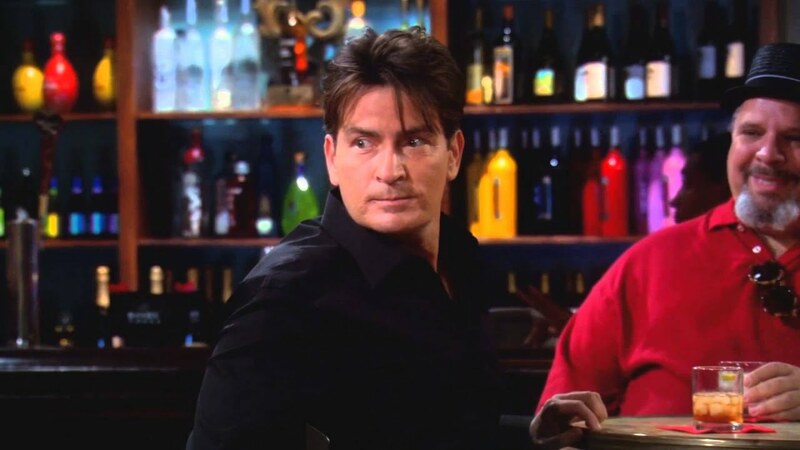 Charlie Sheen, known for his many roles in film and television, worked with Big Bang Theory showrunner and creator Chuck Lorre on his previous show, Two and a half Men, before scandals caused his departure from the show. He was replaced with Ashton Kutcher, but ratings fell quickly, and the once-hit show was cancelled two seasons later. On The Big Bang Theory, Sheen makes a cameo when he encounters Raj, who tells him he is going to be on the cover of People magazine. Keith Carradine is part of the Carradine acting dynasty, which started with his father, old-Hollywood actor John Carradine, and includes his four brother (one of them unfortunately passed away). Carradine started his career starring in the musical Hair, and is known to be a Shakespearean stage actor, but — yes — he also was a part of the Star Trek franchise. He has guest starred as Penny’s terse father, Wyatt, on Big Bang. Since Penny’s last name was never revealed, his was not, either. Jessica Walter is a Hollywood veteran who started her career on stage, but who is most recognized for her part as Lucille Bluth on satire-comedy television show Curb Your Enthusiasm. In The Big Bang Theory, she guest starred as Mrs. Lathem, a major donor to CalTech (the university in which the guys all work). The dean of the university sends Leonard to charm her to get her to get a donation, but she ends up pursuing him romantically as a condition for the monetary contribution. Regina King, who appeared in films such as Enemy of the State and Jerry McGuire, played Janine Davis on Big Bang, CalTech’s administrator of Human Resources. 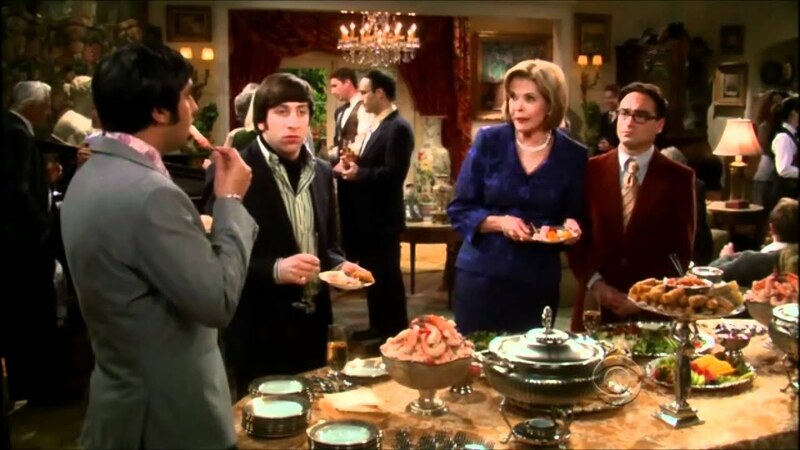 Though King only appeared in the series starting on season 6, her character was – much like Mrs. Wolowitz – an unseen character, who was constantly dealing with complaints against Howard for inappropriate behavior towards his female colleagues. She attempts to deal with Sheldon’s inappropriate behavior, to which is unaware, due to his lack of understanding of social cues. Judy Greer has appeared in numerous films and TV shows, such as What Women Want, The Wedding Planner, Arrested Development, The Village, and more. On The Big Bang Theory, she guest starred as a notable cosmetologist, graduate of Stanford and guest lecturer at CalTech, with whom Sheldon is eager to work. During the episode, she tries to seduce all five members of the gang, to the point where they escape from her: saving them, Raj later on accepts her advances. Sara Rue is a television actress and comedian, noted for her role in Less Than Perfect. 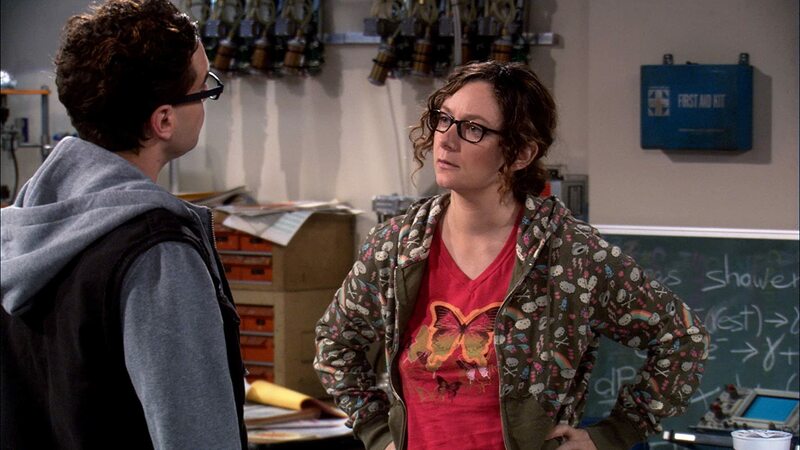 In The Big Bang Theory, she portrays Stephanie Barnett, a doctor and surgical resident who is a love interest of Leonard’s. Eliza Dushku is another actress who follows in the tradition of the sci-fi show guest star on the Big Bang Theory. Star of the cult TV show Buffy, the Vampire Slayer, Dushku portrays an FBI agent who is tasked with running an in-depth background check on Howard when he is asked to join a manned mission on the International Space Station. In a comedy of errors chain of events, Howard fails to receive his clearance. Octavia Spencer is a renowned and acclaimed Hollywood actress, notable for her role in films such as The Help, Smashed, Get on Up, and others. Spencer, who has won numerous awards for her roles, portrays a DMV clerk in The Big Bang Theory. She’s tasked with giving Sheldon a driving test after he is forced to drive on his own. He ends up annoying her so much, she signs his form without him taking the test, begging him to go home. Howie Mandel is a Canadian television host and a comedian, also known as the creator and star of the immortal children’s TV show Bobby’s World. In The Big bang Theory, Howard (whose late mother called nicknamed “Howie”) believes that fans of Howie Mandel – who was a judge on America’s Got Talent – are hailing him upon his return from the international space station. Kindly enough, Mandel lets Howard have his moment.